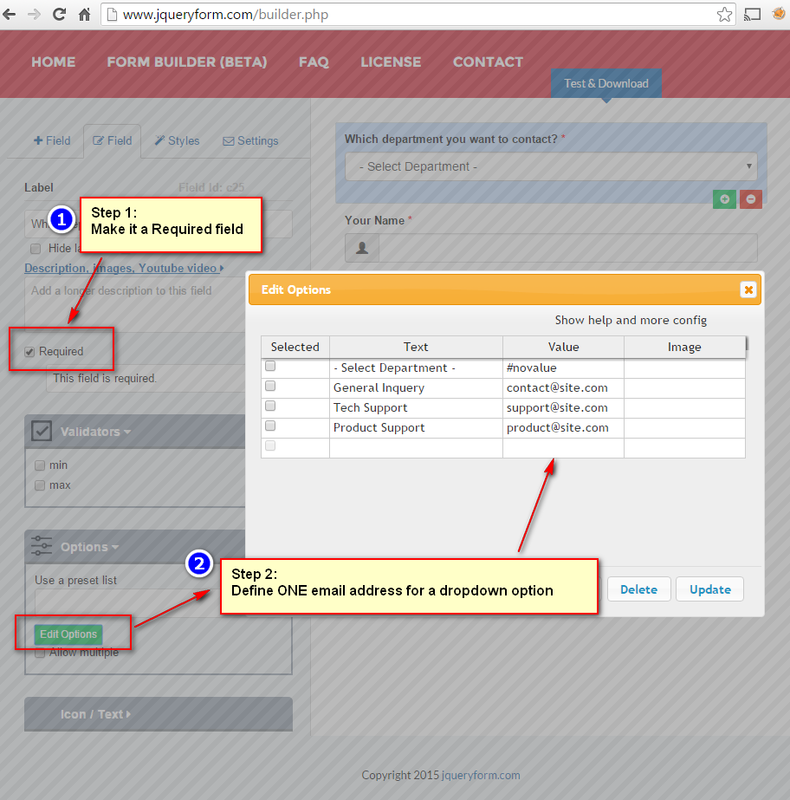 You can use variable email address in the To field. 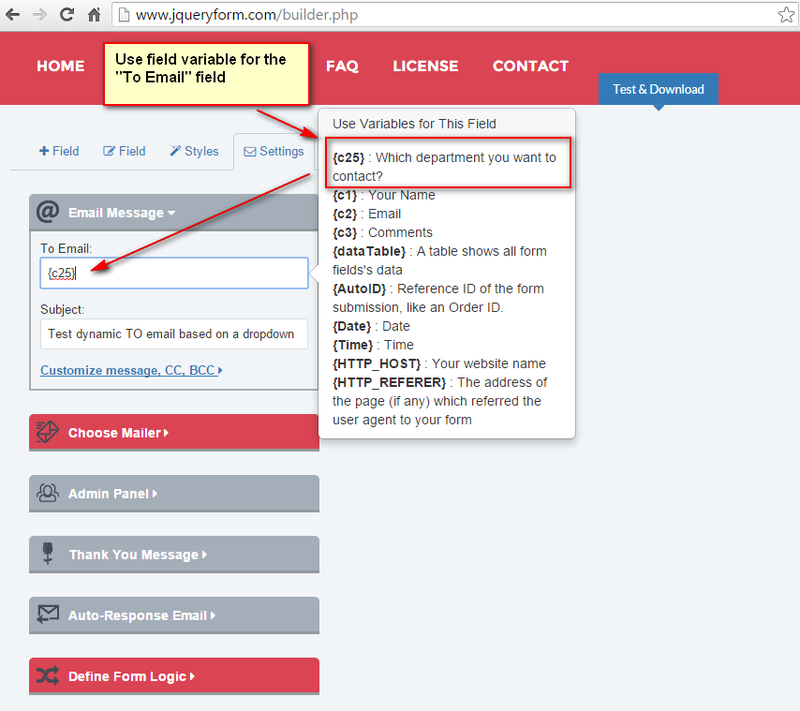 The To email address depends on the user input/selected value of a field. On "Settings > Email Message" section, set the variable of the dropdown field.